A simple, yet vitally important list of the actions important for a new Christian, with clear explanations. I’m listing this website again because it is also one of the best resources for Christian growth. This is the website of the Christian Research Institute and Hank Hanegraff, the Bible Answer Man. It has many resources that answer questions about the Christian faith and other religions in-depth. Excellent books and resources are also available on the site. 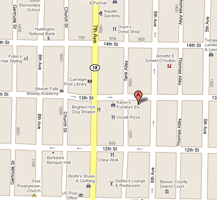 You can also listen to the Bible Answerman radio program from the site. I highly recommend this program for anyone exploring the Christian and for the Christian who wants to grow in their ability to answer questions about the faith. If you need solid assurance that the Bible can be trusted or any questions about false teachers, this site will help you. A wonderful daily devotional for both new and more mature Christians. A very fun site and educational site. 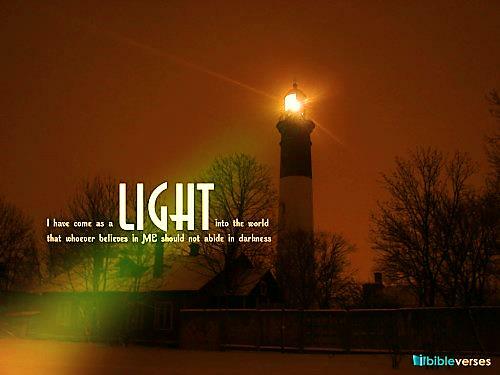 This site contains the links to many Christian radio stations. You can listen to your favorite radio preachers live here and can download messages. 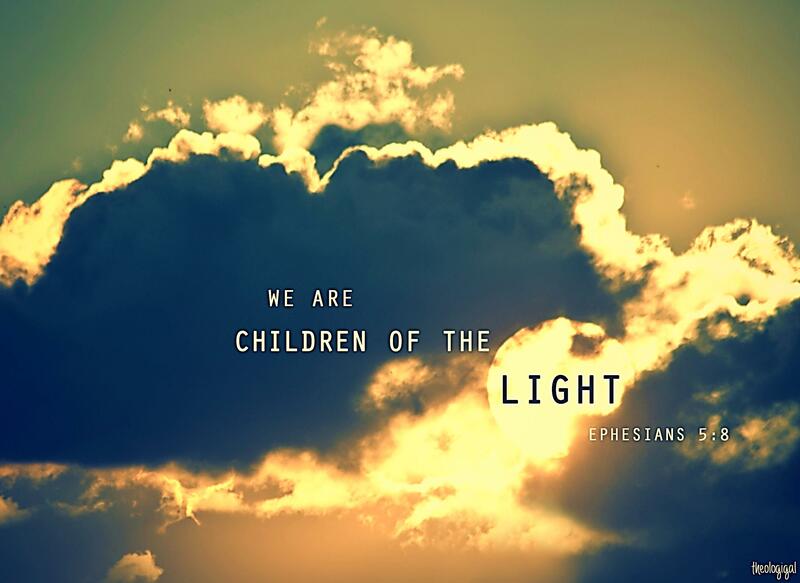 This site contains the digital copies of many of the great classics of the Christian faith. It also has online book study groups and lots of other resources for in-depth, Christian study. Look up any version of the Bible, in many languages and copy and paste it into your studies or to read later. Also has a link to audio Bibles, commentaries, and on this site you can sign up for a variety of devotional newsletters. Adam was created out of dust of the earth. How could there be any more of a relationship with the earth than to be created out of it? It’s as if God scooped up a couple handfuls of earth and formed humanity. When He formed Adam he was not a living being until God breathed life into his nostrils and we became living human beings. The fact that we exist as living, breathing human beings suggests that we have a relationship with the earth because we were created out of it and we have a relationship with God because we breathe the very breath of the one who created all that is. Even the fact that God put Adam and Eve in a garden is an important point. Due to their disobedience, they were kicked out of the garden and the land was cursed making it more difficult for them to coax the earth to provide for them. The story of Cain and Able is also a story of disobedience. When Cain, a farmer, killed his brother, God punished him by removing him from the soil. He became a wanderer across the earth with no connection to any land. When he lost his relationship with the land, he could no longer see the face of God. Relationship with the land and relationship with God were, for Cain, inseparable. Disobedience of God and violence towards one another results in negative consequences for the earth. Few people know that Noah’s father, Lamech, thought that his son might one day be the “righteous” one to remove the curse on the land (Genesis 5:28-29). When Noah’s Ark came to rest and the animals were released, a rainbow appeared. It was a sign not only of God’s covenant with Noah, but also with the animals and the earth itself. Noah’s story is a story of reconciliation of humanity and the earth. God saw what he had done and promised he would never again curse the land. At the beginning of John’s Gospel there is understanding by the writer that Jesus was present at Creation and that everything that ever came into being came into being through Christ. Many think that the whole Christ event was just about personal salvation, but actually, it was about God’s love for everything God has made. The word world is better translated as cosmos. Paul has the understanding that Jesus was the redeemer not just of humanity, but of everything God created. 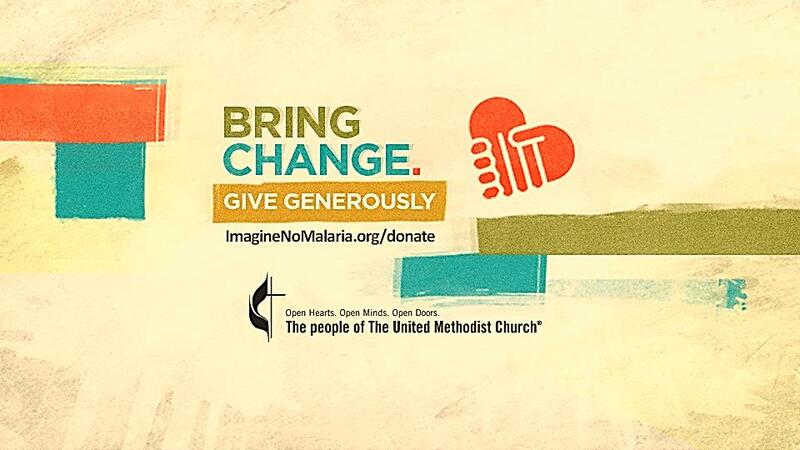 Learn more about The United Methodist Church and its teachings about the Natural World, and Creation care. 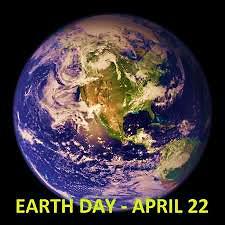 The world marks Earth Day each April 22. 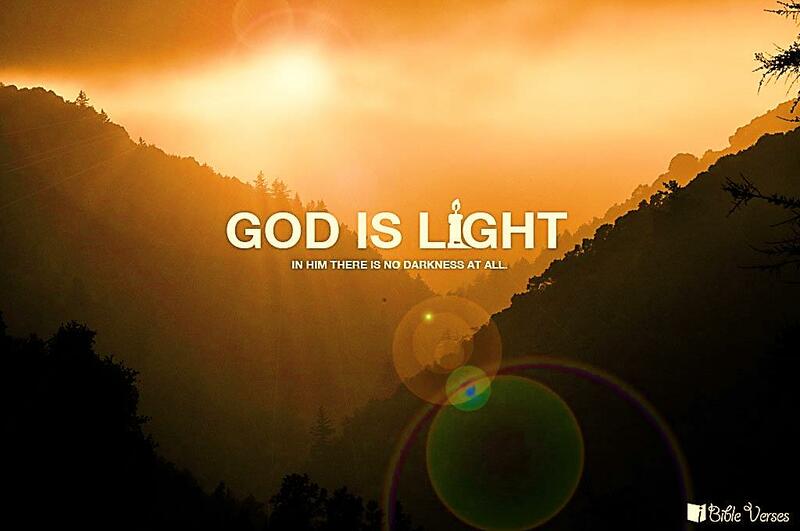 This video features stunning images of Nature along with the beautiful words of a prayer written by United Methodist Bishop Ken Carter when he was a pastor in North Carolina in 2005. Click on the image of Earth to view an Earth Day video featuring stunning images of Nature along with the beautiful words of a prayer written by United Methodist Bishop Ken Carter when he was a pastor in North Carolina in 2005. You are encouraged to use this video for personal reflection and also download and share it with others. What does giving yourself as a living and holy sacrifice look like in real life? How does God transform you into a new person by changing the way you think? This section of Paul’s letter to the Romans spells out one major element of the complete answer to these questions: how you choose to react to being wronged. Paul uses the word “never” twice in this section (vv. 17 & 19). What is he ruling out? 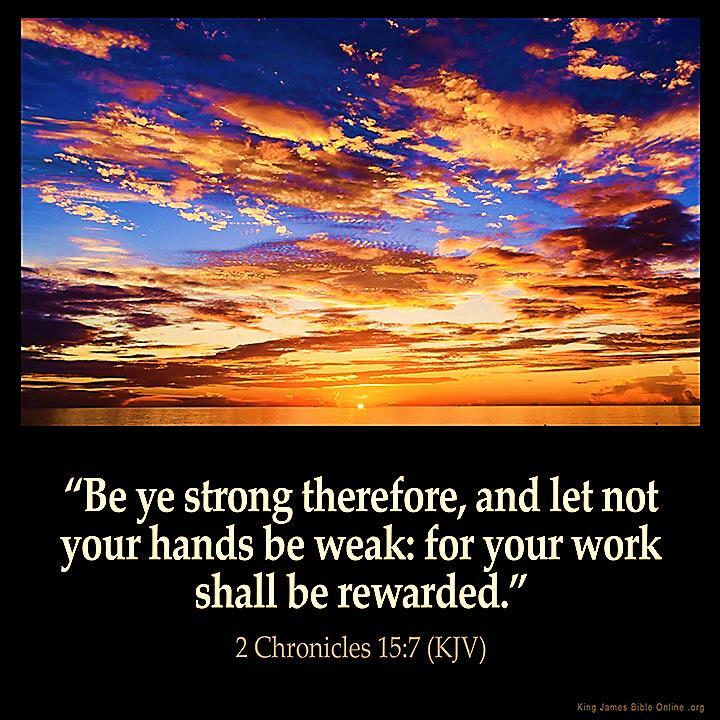 If you do retaliate, what, according to verse 21, would Paul say has happened? How many end up being harmed when you indulge in payback? What do you risk by allowing God to be the final balancer of accounts? Are you okay with this? Besides breaking a cycle of retaliation, what does the quoted proverb (v. 20) say may result? 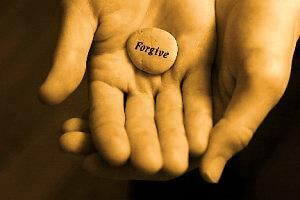 Instead of saying “forgive,” what specific actions does the proverb prescribe? How does doing kind acts change how you feel about someone who’s hurt you? Look up Proverbs 25:21. What does the unquoted phrase add to your motivation? Spend Time in Prayer: Thank God for experiencing His undeserved favor. Ask Him to deliver you from bitterness and make you willing to pass His grace on to others. 20 Instead, do what the Scriptures say: “If your enemies are hungry, feed them. If they are thirsty, give them something to drink, and they will be ashamed of what they have done to you.” 21 Don’t let evil get the best of you, but conquer evil by doing good. 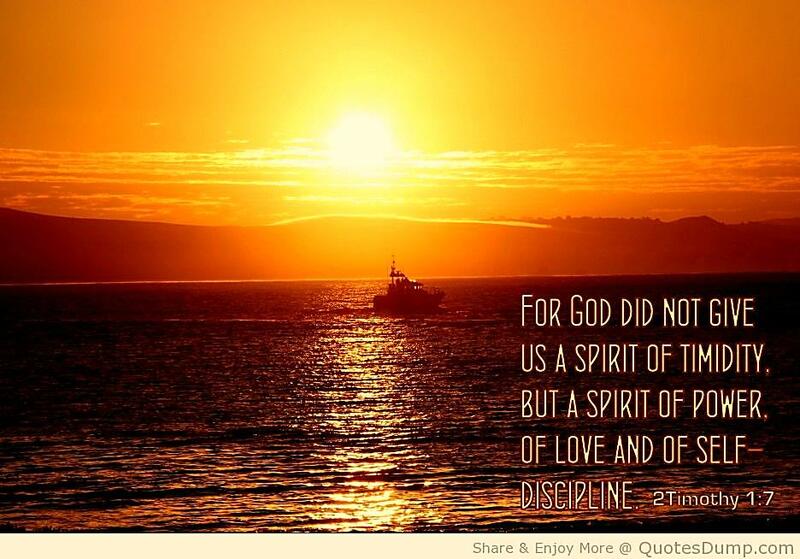 Prayer for the Week: When I’ve been wronged, Lord, I’m naturally bent on retaliation. But You’ve said to leave that to You. Help me to submit my case to You. But the man persisted, and Brian consented to meet for lunch. There, Brian held firm. “Just do this for us,” the executive urged. “Talk with your wife, come up with a salary you’d like to be paid, and let’s meet back here in a week.” Brian reluctantly agreed. My Response: Do I trust the outcome to God even if things aren’t turning out my way? Prayer for the Week: When I’ve been wronged, Lord, I’m naturally bent on retaliation. But You’ve said to leave that to You. 00Help me to submit my case to You. 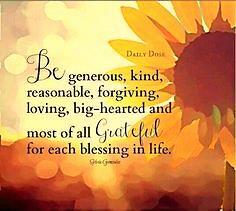 Forgive That Jerk? – Press Charges? “Why was that?” Pastor Brice asked. “Do you want to do it God’s way or your way?” Pastor Brice asked. “God’s way,” Brian answered without hesitation. “That’s why I’m talking to you. 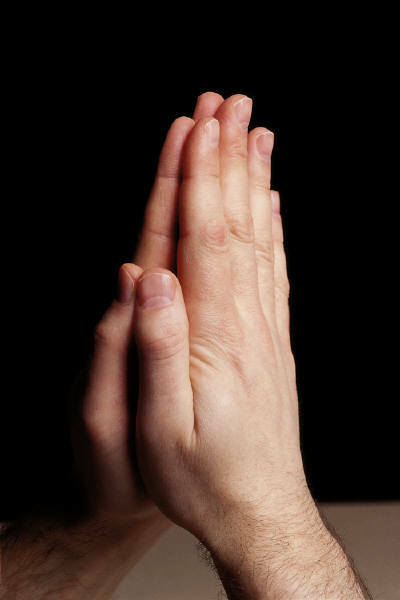 Would you please pray with me?” They bowed their heads and committed Brian’s case into the hands of his Father. Years ago my friend Carlos discovered that several thousand dollars were missing from his business, covered by phony figures. It had to be his bookkeeper. Carlos called Jan in and confronted her. She didn’t deny it. In tears, she told how she and her husband, Tom—not a believer—had hit rocky times and sunk deep into debt. Giving into temptation, she’d “borrowed” the money, hoping to restore it before it was missed. Had Carlos filed charges yet? she asked. When should she clear out her desk? Jan remained a trusted employee in Carlos’s office for years. My Response: Is there a way I could model God’s forgiveness in my relationships? I went to the hospital. The nurse said he’d been arrested, then transferred from jail to the nearest hospital when his condition worsened. It was him, all right, but now skin and bones. His eyes said he recognized me—and had planned to never see me again! “I forgive you for taking my truck,” I managed. “Because God forgave me, I forgive you. I’m not angry. I’ve been praying for you.” He couldn’t move or speak, but his eyes teared up. I returned daily, reading from my Bible, and telling him that God loved him and that the native people were praying. Unexpectedly, his condition stabilized. Then he was taken off life support. After five weeks he could talk well enough to tell me he wanted to receive Christ as his Savior! My Response: Have I ever asked God how I should deal with a betrayal? My people are always ready to share. So our church gave him warm clothes, boots, a down jacket, and a $200 travel-money loan. I loaned him my 4×4 pickup and extra tires. We prayed with him before he left, promising to return my pickup that weekend. My Response: Have I ever been taken like this? What was my reaction? Forgive That Jerk? – Grace for a Grinch? What He Said…Grace for a Grinch? “Daddy, come quick,” shouted my daughter. “Someone stole presents from under the Christmas tree.” While we slept, someone had entered, picked out a dozen gifts, removed the blanket that covers my favorite chair, and used it to haul them away. When Johnathan realized that the stolen gifts included his top-of-the-line sneakers, he stormed out of the house in tears. I sat stunned and fuming on my coverless chair. I knew the words out of his mouth were opposite to what Johnathan was feeling in his heart—because I felt the same way. But we had to start somewhere. If we could take one step toward forgiveness, just maybe our hearts could line up with our words, creating a counterculture of grace. 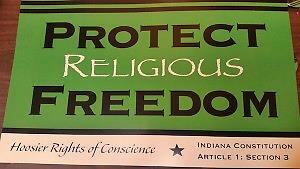 On March 26, 2015, Governor Mike Pence of Indiana signed into law the state’s Religious Freedom Restoration Act. The action has drawn sharp criticism by people and politicians who directly oppose religious freedoms and by those who are simply unaware of the Religious Freedom Restoration Act, the federal model for Indiana’s new law. What is the Religious Freedom Restoration Act? The Religious Freedom Restoration Act (RFRA) is a federal law passed in 1993 which is intended to prevent other federal laws from substantially burdening a person’s free exercise of religion. The legislation was introduced by Rep. Chuck Schumer (D-NY) on March 11, 1993 and passed by a unanimous U.S. House and a near unanimous U.S. Senate with three dissenting votes. The bill was signed into law by President Bill Clinton. Why was the RFRA needed? Pre 1960s — Statute-by-statute exemptions: Prior to the early 1960s, exemption for religious objections were only allowed if the statute provided an explicit exemption. 1990-1993 — Return to statute-by-statute exemptions: In Employment Division v. Smith, the Supreme Court returned to the statute-by-statute exemption regime, and rejected the constitutional exemption regime. 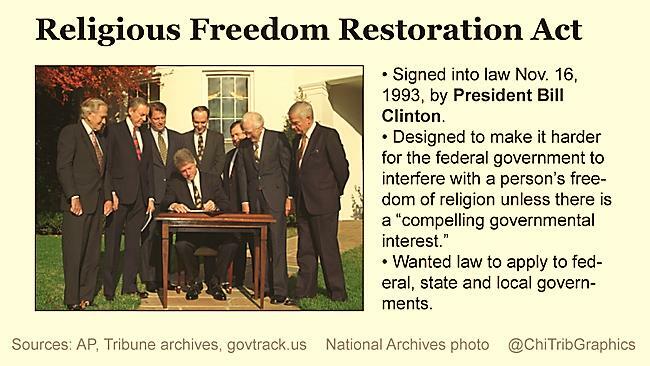 1993-Present — Religious Freedom Restoration Act era: In 1993, Congress enacted the Religious Freedom Restoration Act, which gave religious objectors a statutory presumptive entitlement to exemption from generally applicable laws (subject to strict scrutiny). 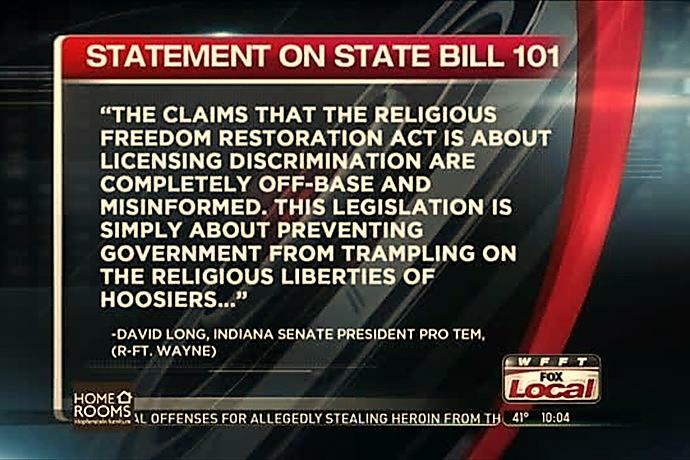 If we have the RFRA, why do we need religious freedom legislation at the state level? RFRA was intended to apply to all branches of government, and both to federal and state law. But in 1997 in the case of City of Boerne v. Flores, the Supreme Court ruled the RFRA exceeded federal power when applied to state laws. In response to this ruling, some individual states passed state-level Religious Freedom Restoration Acts that apply to state governments and local municipalities. 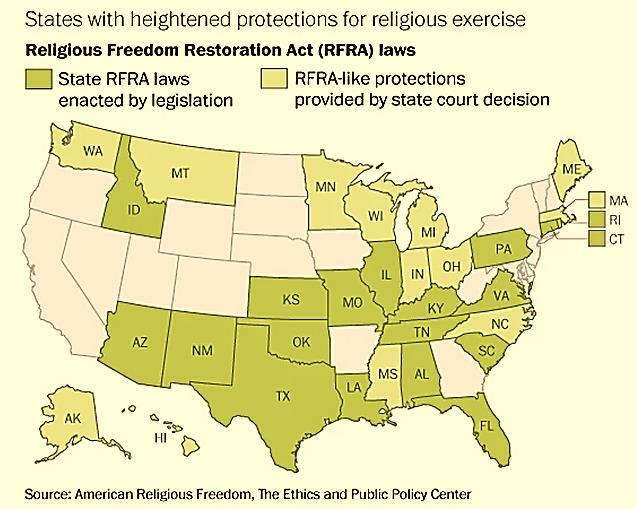 Which states have state-level Religious Freedom Restoration Acts? Currently, 19 states have a Religious Freedom Restoration Act (AL, CT, FL, ID, IN, IL, KS, KY, LA, MO, MS, NM, OK, PA, RI, SC, TN, TX, and VA). Ten other states have religious liberty protections that state courts have interpreted to provide a similar (strict scrutiny) level of protection (AK, MA, ME, MI, MN, MT, NC, OH, WA, and WI). With some exceptions (such as Mississippi), the state versions are almost exactly the same as the federal version. What exactly is “strict scrutiny”? Strict scrutiny is a form of judicial review that courts use to determine the constitutionality of certain laws. To pass strict scrutiny, the legislature must have passed the law to further a “compelling governmental interest,” and must have narrowly tailored the law to achieve that interest. For a court to apply strict scrutiny, the legislature must either have significantly abridged a fundamental right with the law’s enactment or have passed a law that involves a suspect classification. Suspect classifications have come to include race, national origin, religion, alienage, and poverty. Aren’t state RFRA’s about discrimination against homosexuals? [T]he act is a moderate measure that tracks a well-established federal law and the laws of several dozen other states. Contrary to what some critics have suggested, it does not give anyone a “license to discriminate,” it would not undermine our important civil-rights commitments, and it would not impose excessive burdens on Indiana’s courts. . . . The act’s standard is applied in many jurisdictions across the land and it has long enjoyed support from across the political spectrum. This standard is not new; we have plenty of evidence about how it works. We know that courts have not applied it to require excessive accommodations or exemptions from anti-discrimination laws and civil-rights protections. Fighting invidious public discrimination is, American courts agree, a public interest of the highest order. Contrary to the concern quoted in the recent Tribune piece, a business owner or medical professional who invoked the act as a “license” to engage in such discrimination would and should lose. The act creates a balancing test, not a blank check. . . .
Why then do so many people claim it is about discrimination of homosexuals? Addendum: Since many readers are unaware, it is worth noting that while the RFR does not protect businesses from discriminating against homosexuals, that is already allowed except in states or local municipalities that expressly forbid discrimination based on sexual orientation.